The 100 pieces cutlery set from the Blois Beau Manoir collection of Guy Degrenne has a high resistance as it is made of 18/10 stainless steel which is a very good material. The flatware of this 100 pieces cutlery set Blois Beau Manoir Guy Degrenne is of a mirror finish which will give a shiny look to your table. 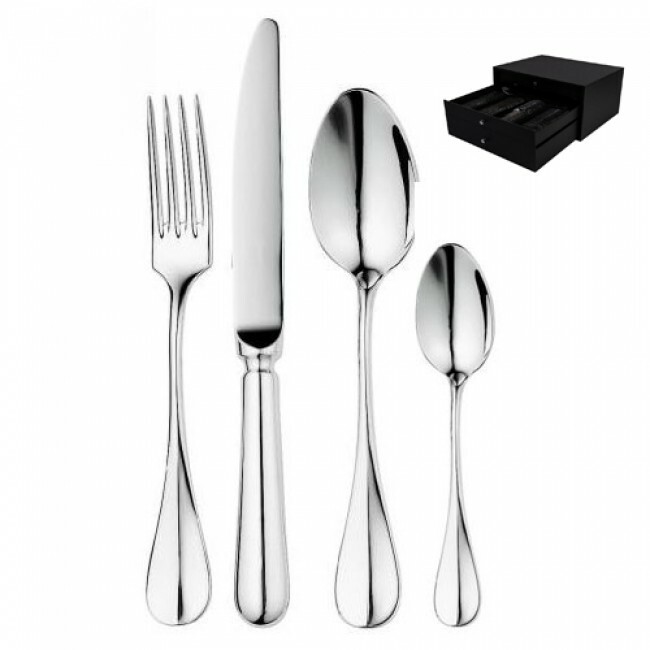 The 100 pieces 18/10 stainless steel cutlery set Blois Beau Manoir Guy Degrenne will be perfect if you are planning to receive many guests.